Each one has it’s own point of view in evaluating some thing. Appreciating the Art work is very interesting job one can enjoy. It means that even the pure internal excitement can not be permitted to common people in capitalism. In many cases, the specialists often confiscate your emotional joy and delight. They force you to follow their point of value. In these sense, the only opportunity to enjoy your internal joy and delight would be taken only in the museum. In museum, there is no reason to evaluate the economic value. 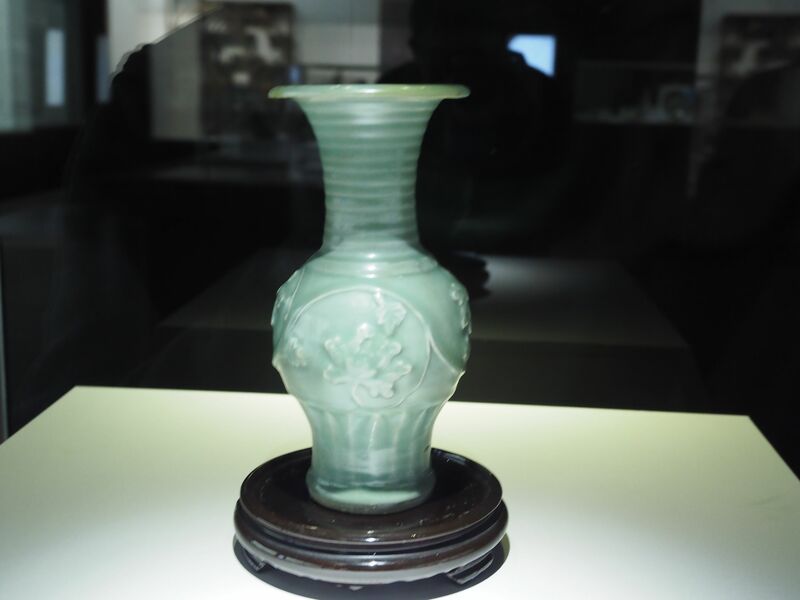 So only in the museum, you can enjoy pure value of the relics according to your own point of view and value. Among the relics, I found the most prominent master piece in my view. 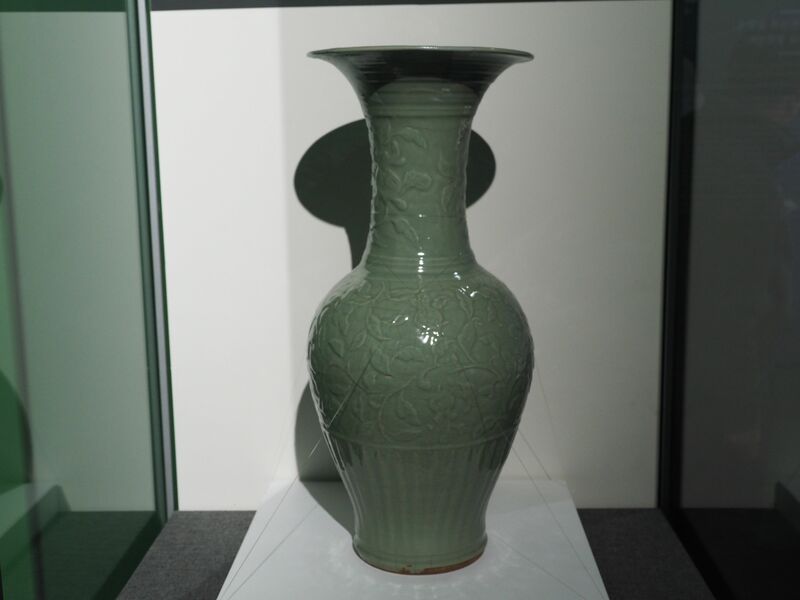 The vase was located in the corner of the exhibition room. It was not easy for the tourists to find out where the Vase located in. What this vase made me feel awesome was a color of it. The color was so mysterious as the medieval works. At first glance, I had thought it of some postmodern style color. It’s color was mixed one with blue and white. But this blue light was quite different from other blue colors. 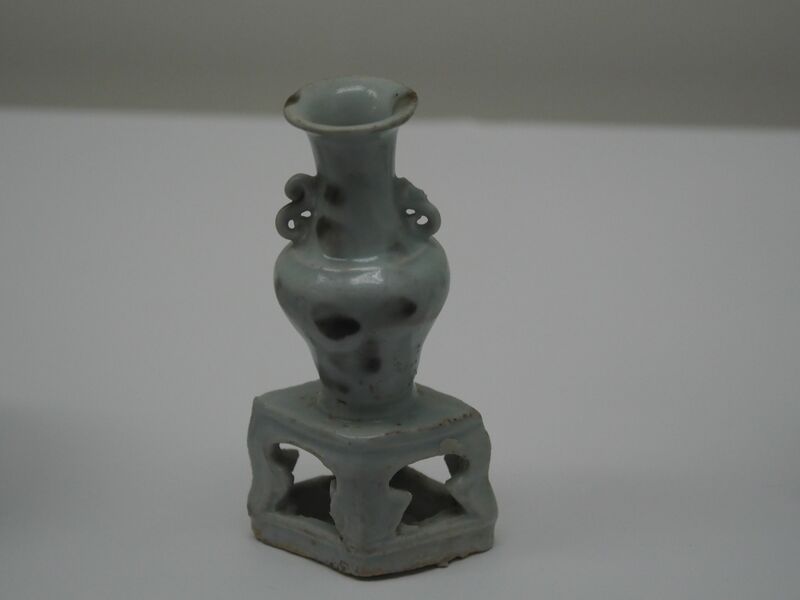 The blue color of the porcelain was made with the cobalt metal. But it didn’t seemed that the cobalt was not used in this vase. How did they make that mysterious color ? With the glaze , or the enamel ? Anyway there was no other explanation on that vase. It seemed that no-one concentrated on that color. 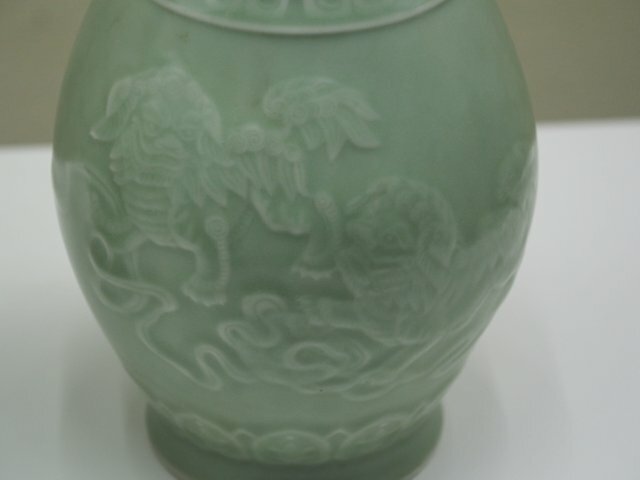 This vase could be far from the master piece in the eyes of the specialists. But it was marvelous for me how they could make such a wonderful color for nearly 800 years ago. There were lots of other beautiful porcelains. The appearance of those porcelains were excellent. How they made such a wonderful shape without the help of machine. All of porcelains displayed in exhibition room were perfectly balanced. That shows the excellency of the craftsmanship at that ages. I was walking around the exhibition room slowly. I’d like to to share their feeling, thought and life. The world they had lived in seemed to be much more closer than we thought. There were other exhibitions in the museum. Especially the special exhibition of the Vietnamese relics found in shipwreck was held there. It would be boring to continue same subject in rows. I’d like to post another issue in next posting. Fantastic.. I can visit your country! Such artworks are really admirable as they are. They can be duplicated nowadays but still, there's nothing like the original. Hello Sir @slowwalker The relics of porcelain finds in those shipwrecks are so delightful to the eyes I also admire such handy work of artisans back in the tie past and I can just imagine how they do it and how they share their way of life to our modern life. I just wished that I could also visit our national museum here in my country. It was my plan before if not for my disability that caused me to get pinned in my home. You can do visit korea. Intricate and carefully crafted, nice piece. Hello slowwalker !awesome works you did !I am looking forward to your next post! Wow this is indeed a very good one @slowwalker . The museum really got a lot of treasures from The Sinan Shipwreck and great to display and preserve them for all to visit and see. Thanks for sharing all these great travelling informations with us-I mentioned you on my brand post-feel free to see it when you are free... More success to you. Yes, this color was clear and awesome. Hii @slowwalker, very nice to see your interesting photography of porcelains from exhibition. Really nice piece of arts.always love to see your posts.This I like much. 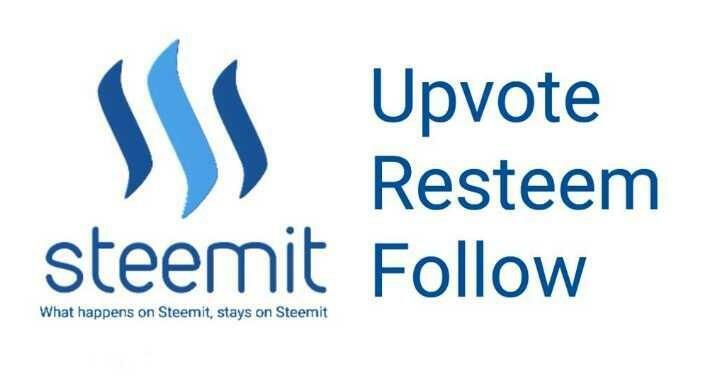 Appreciated your efforts and supportive kind behaviour there on Steemit. Thanks for often visiting my post with kind feedback. My Tiny Support as Friendship for you as UpVoted. should i actually start vlogging about south korea as well? Will anyone be interested? I would definetly see it! I swear The other day I was discussing how South Korea is one of the country mainstream media isn’t covering I actually came home and Googled about it. Would love to see the real deal. It's good to see things like this as it reminds you that humans have been skilled for such a long time and take great care to make beautiful and practical objects. Hiiii @slowwalker ....... NIce post.... Similar to the last one. I think u are in search of antique things. From your writing I can guess u that u r a socialist ideological person. Please see my last post on our friendship. Thanks bro for your reply..... I m much happy with your response. I would feel much better if u see my this post..... Actually I m not asking u for a UPVOTE but I want to let u know our problems. I u take some initiative then will will be ever grateful to you my friend. I m in a cricis of some steems.... If u can delegate some amount than u will refund it after some months. Until you mentioned it, I didnt notice the colour of the first vase either but after reading your post I actually slowed down and noticed it. You are right I have never seen anything like it and it’s beautiful! Yea, I get what you mean. You have anything else like this would love to see it. 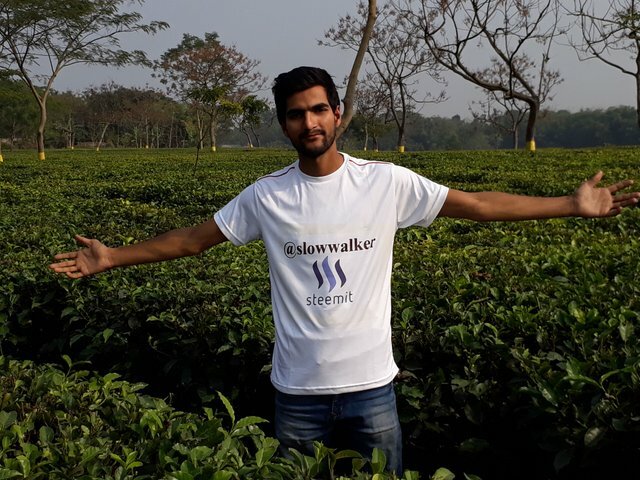 hi slowwlker,nice to read about you,i m zain.abideen from pakistan,am also new on steemit . i have followed you so,can also follow me. wow great pictures...it's crazy how they are able to restore them to such great quality..what would you do if you came across an old shipwreck? hope kts worth a lot of money and retire? ha what about you guys??.? Though I enjoy post-apocalyptic movies and books. I always felt that they underestimate the proven potential of humans. It is great to watch things like Mad Max, where people drive stacked cars and wear armor made from scrap metal and cooking ware. But just look what they could do 1000 years ago what is possible without modern needs. Given the environment in those scenarios is much harsher. But we would have a head start in knowledge and tools. I believe, in no time, craftsmanship like this would return. (not that it isn't still around). Beautiful! What a great piece of ART this is.....! Also pictures have been taken brilliantly. Must be appreciated the photographer. Thanks for sharing quality stuff here at steemit. All the very best @slowwalker! "This vase could be far from the master piece in the eyes of the specialists. But it was marvelous for me how they could make such a wonderful color for nearly 800 years ago." You are right about this statment. i like it. very a masterpiece. travel is very interesting, I really like photography @slowwalker. it's nice to respect art and art work. Beautiful pieces of artwork and craftsmanship, it's amazing how these can withstand the test of time and still be seen as masterpieces. Hi @slowwalker. I was following your travel lately. I find it really interesting, I do love traveling and food tripping. Looking at your post made me travel in different country. It fires up my curiosity to try different countries cuisine. Thank you. I find it very interesting that all those delicate porcelain pieces were found in the wreck without breaking into smaller pieces. wow nice base.. but little bit heavy ? 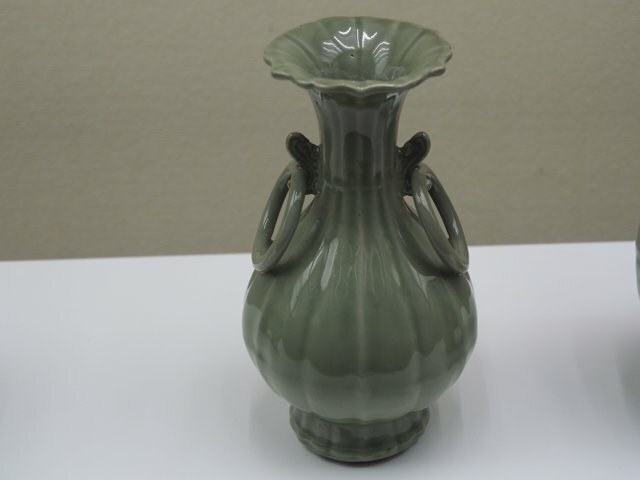 all the porcelains are in a wonderful shape, looks brand new! Where did you see this exhibition @slowwalker? Hmmm, you get so many replies that I sometimes wonder if I should even add to the 100's you get. But anyway, 2 things. I agree, from the vases and exchibits you showed us, that one is the nicest in opinion. I like that colour and form better than the others, even though the others are beautiful. Secondly, capitalism is frustrating me too. Not that I disagree with the principle, but that therre seem to be so many people taking advantage of the system that now EVERYTHING has a price on it. I just posted yesterday on how water is also becoming a commodity that the capitilist steamrollers are also using and controlling. To see anything of artistic value, it costs money, to appreciate areas of beauty, they are now fencing them in and charging admission fees. Its not slowing down but speeding up.....quite frustrating. Thanks then for sharing this with the world, its good to see these sorts of things...howbeit on a PC screen on the other side of the world. Well its fast heading in that direction, and history tells us that these societies or societal structures that consume and plunder all around ALL fail at some point. Perhaps this is the next step in that direction? Well, brother, I appreciate your efforts and Wish all the best in every of aspects of life may you be blessed by what you seek..!! Oh I love your travels and how youre taking us with you through these photos! It's very interesting and amazing seeing the history of a country and its people through these. Thank you! I wish to visit the places youve been someday! 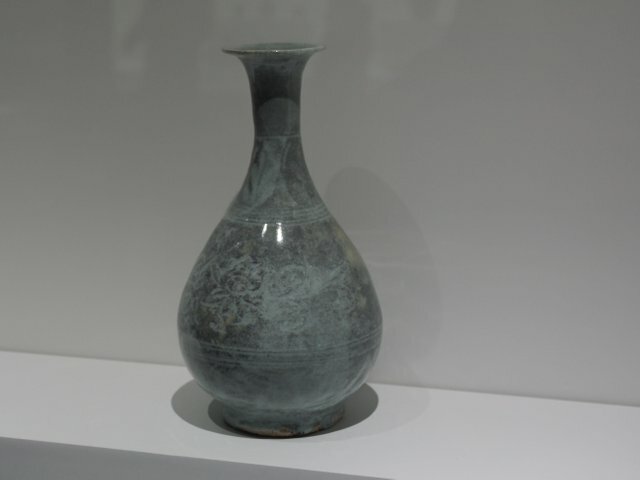 It is amazing that they were able to make such a beautiful vase, with a glaze or not, so far back! Great post! Great post as usual my friend! Everyone has some points of assessment. That's right. But I think in the museum, I can enjoy the exact quality of my own perspective and standards. But I liked the vase color. Feels good to get in contact with ur kind @slowwalker, I'm a lover of art cuz it brought an added beauty to our world. "In these sense, the only opportunity to enjoy your internal joy and delight would be taken only in the museum. In museum, there is no reason to evaluate the economic value." I like how you put it here! go tremendous pieces are beautiful. Not bored yet at all 8-). Very interesting post.. Nice traveling story. A beautiful exhibition held in Korea. All photographs are excellent. Thanks for sharing. 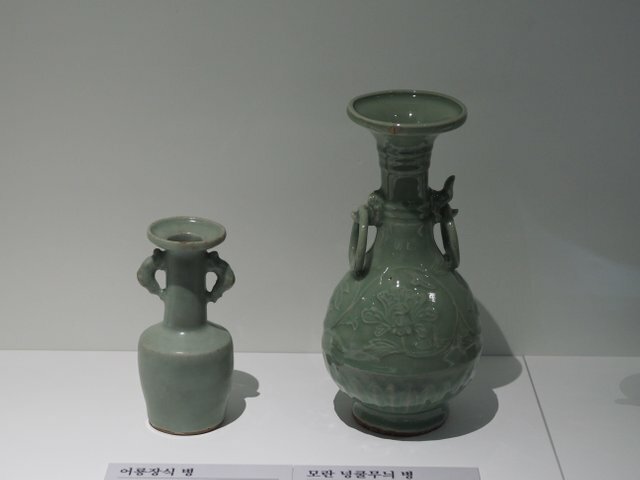 I didnt know why I had to learn about those simple looking vases back in school time. Now I have realised how beautiful and meaningful they are. wow....very nice photography....& good post...i love your all post....thank for sharing....my dear @slowwalker.. 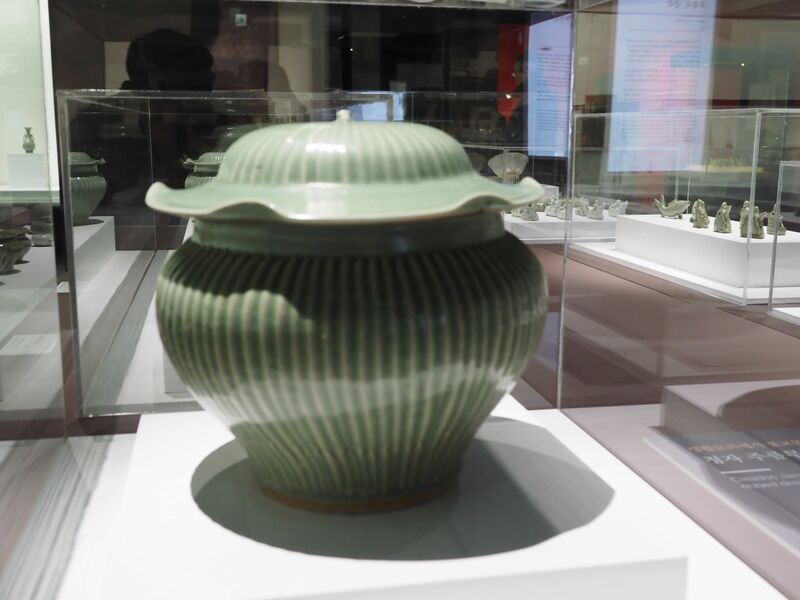 These relics are just do fantastic.I had been visiting museums always and i get so fascinated looking at the East Asian porcelain / relics. it reminded me how the trading before relished on those era. i love history as much as i love my life.